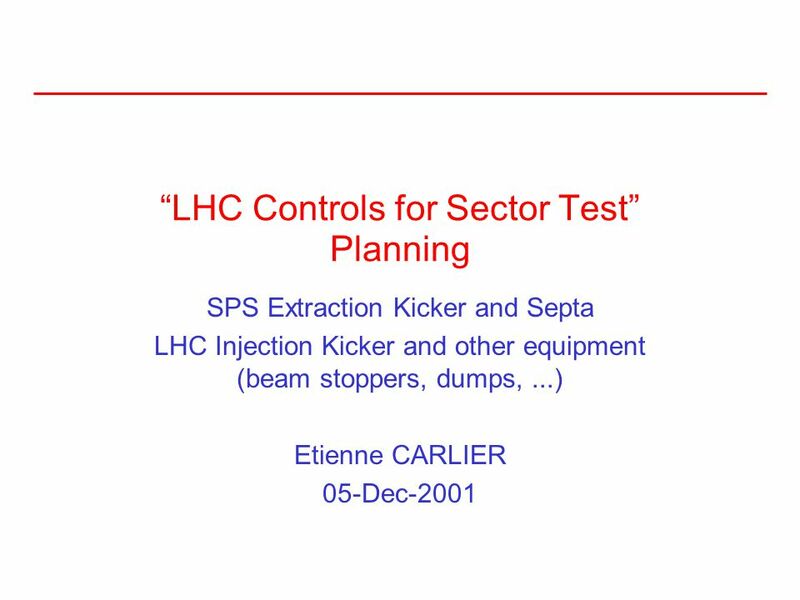 “LHC Controls for Sector Test” Planning SPS Extraction Kicker and Septa LHC Injection Kicker and other equipment (beam stoppers, dumps,...) Etienne CARLIER. 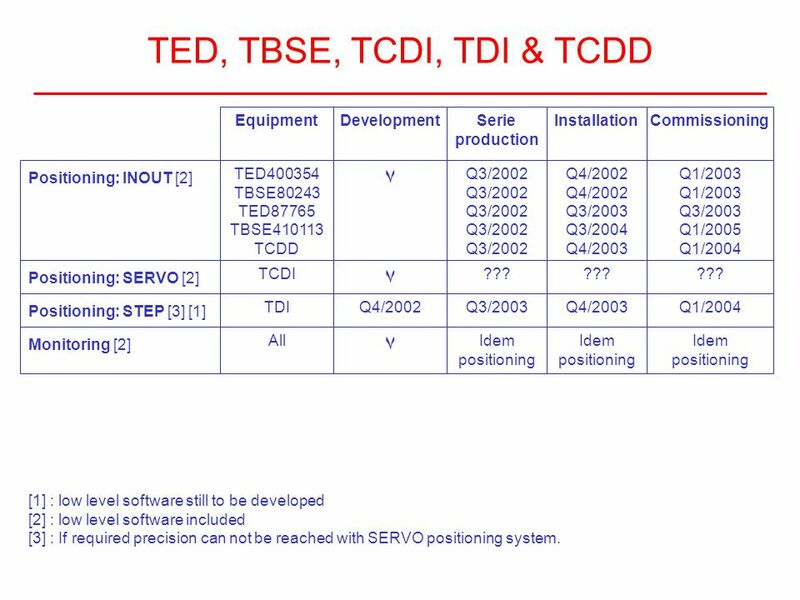 8 TED, TBSE, TCDI, TDI & TCDD Positioning: SERVO  Positioning: INOUT  Monitoring  Positioning: STEP   Serie production CommissioningDevelopmentInstallation ۷ ۷ ۷ Q4/2002 TED400354 TBSE80243 TED87765 TBSE410113 TCDD Equipment Q3/2002 Q3/2002 Q3/2002 Q3/2002 Q3/2002 Q4/2002 Q4/2002 Q3/2003 Q3/2004 Q4/2003 Q1/2003 Q1/2003 Q3/2003 Q1/2005 Q1/2004 TDIQ3/2003Q4/2003Q1/2004 AllIdem positioning  : low level software still to be developed  : low level software included  : If required precision can not be reached with SERVO positioning system. 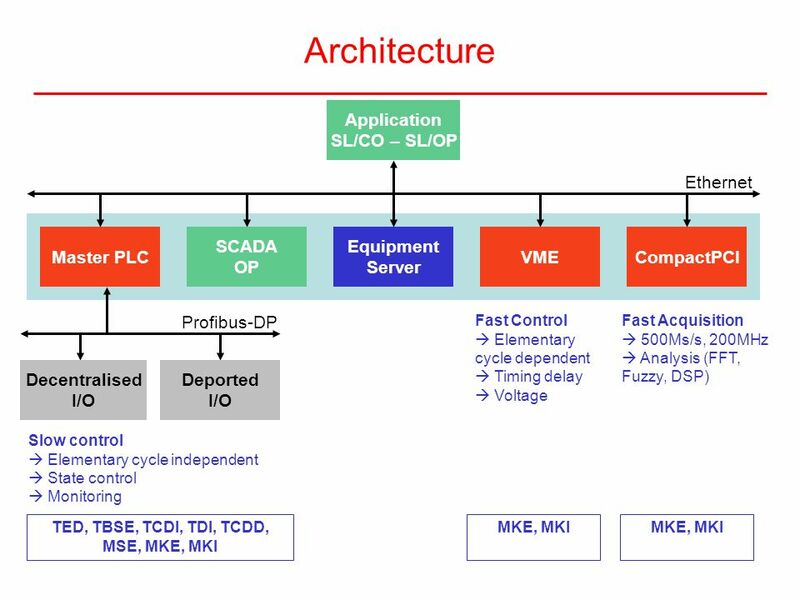 TCDI??? 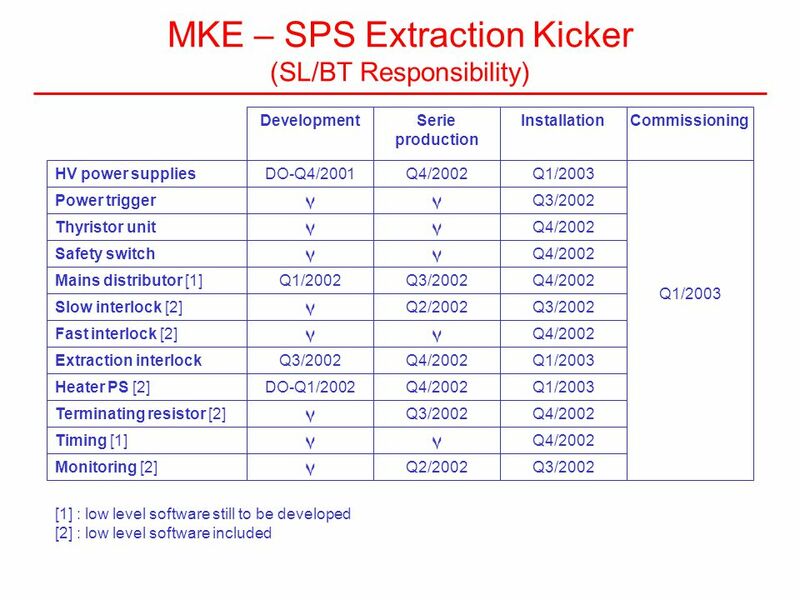 Download ppt "“LHC Controls for Sector Test” Planning SPS Extraction Kicker and Septa LHC Injection Kicker and other equipment (beam stoppers, dumps,...) Etienne CARLIER." SESAME Radiation Safety and PSS Phase I : Microtron + Booster Morteza Mansouri on behalf of Safety group TAC SESAME TAC 2013 : Morteza Mansouri. 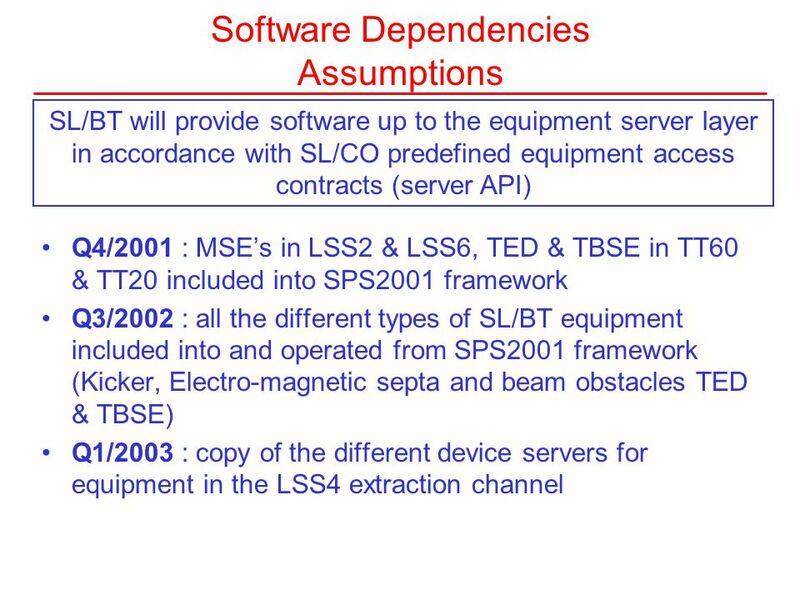 Jan Uythoven, AB/BTLHCCWG, 3 May 2006 Page GeV Commissioning Machine Protection Needs to be commissioned to: Prevent damage with the used, higher. M. Jimenez AT/VAC Room Temperature (LSS) Vacuum Systems M. Jimenez. 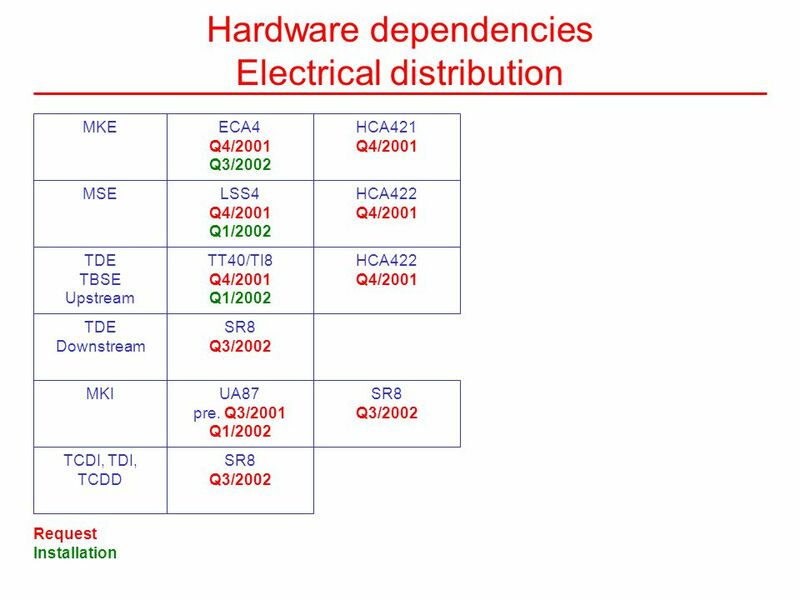 WG on possible controls restructuring 1 Controls activities of the AB equipment groups A. Butterworth E. Carlier, R. Losito, A. Masi, JJ. Gras, Q. King. 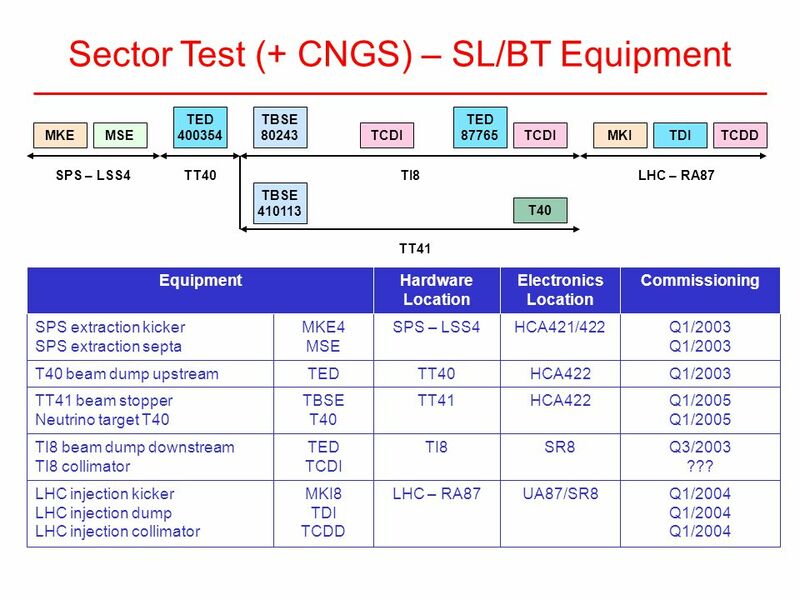 N. Voumard, AB-BT-EC LBDS Audit, CERN LBDS Trigger Signal Distribution Trigger Synchronization Unit (TSU) Trigger Fan Out (TFO) Power Trigger Unit. SNS Integrated Control System SNS Machine Protection System EPICS Workshop April 27, 2005 Coles Sibley. LBDS Kicker Electronic and Slow Control Etienne CARLIER AB/BT/EC. The TIMING System … …as used in the PS accelerators. 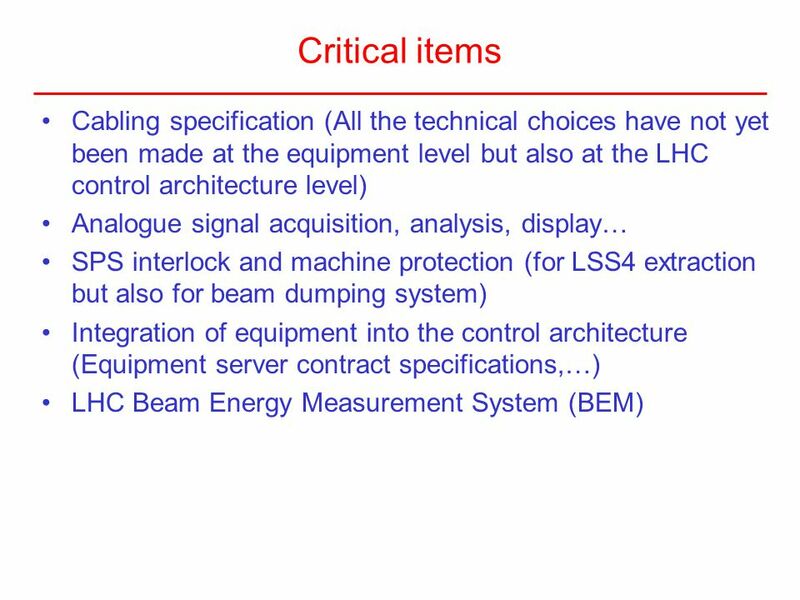 The Architecture, Design and Realisation of the LHC Beam Interlock System Machine Protection Review – 12 th April 2005. 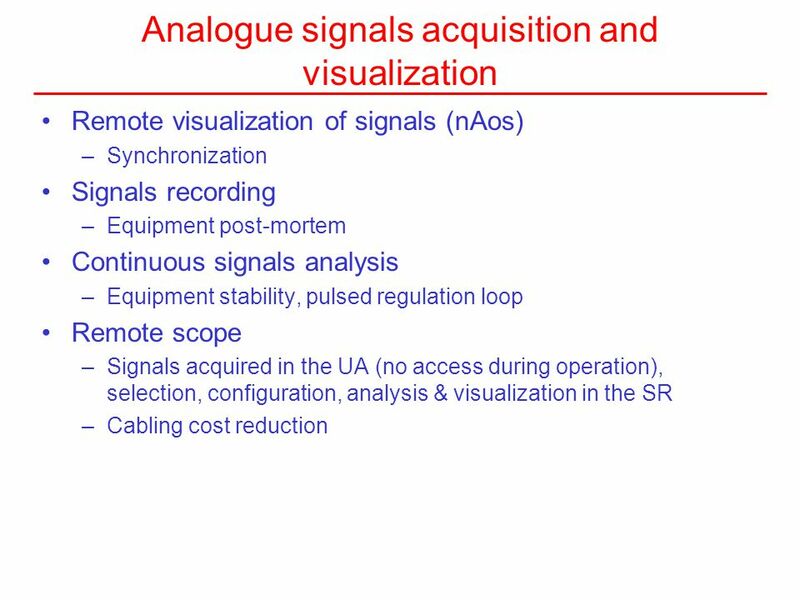 Workshop “Vacuum systems of Synchrotron Light Sources“ organized by MAX-LAB & ALBA Barcelona, th September 2005 Instrumentation and Vacuum Control. 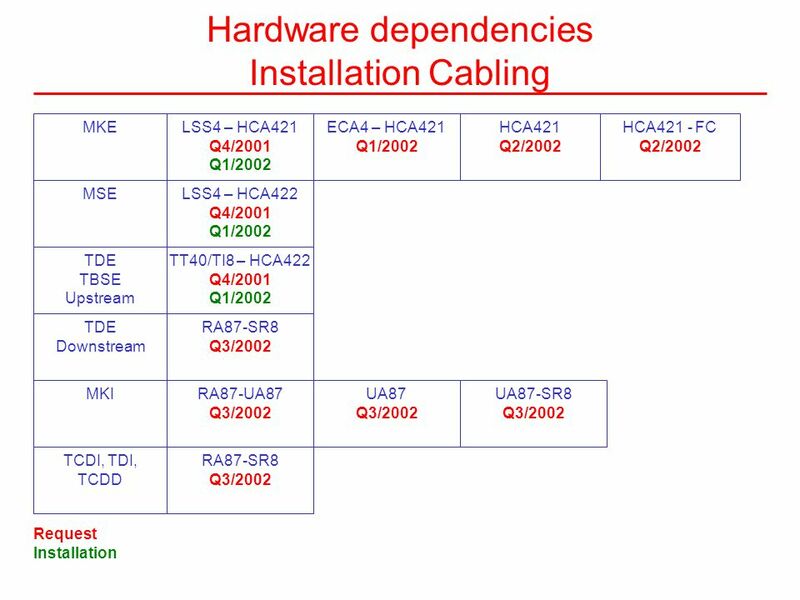 ITER – Interlocks Luis Fernandez December 2014 Central Interlock System CIS v0. 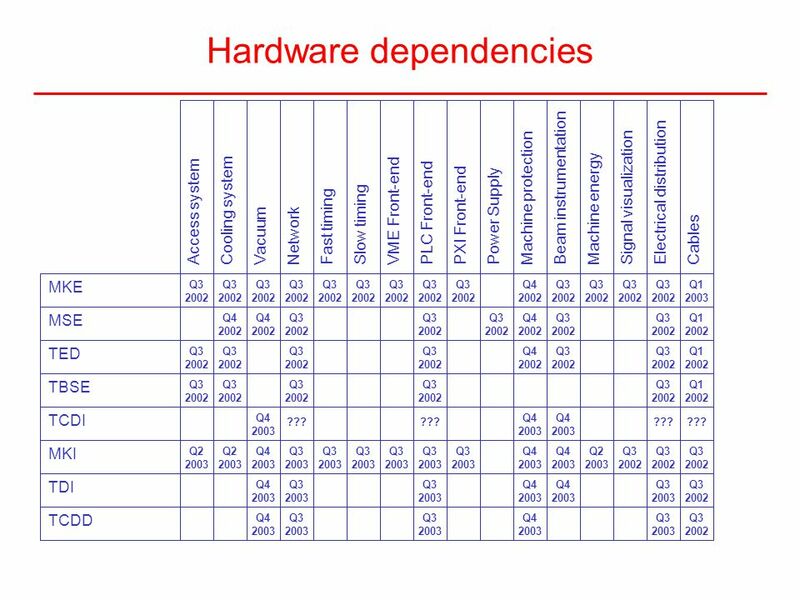 Distribution of machine parameters over GMT in the PS, SPS and future machines J. Serrano, AB-CO-HT TC 6 December 2006. 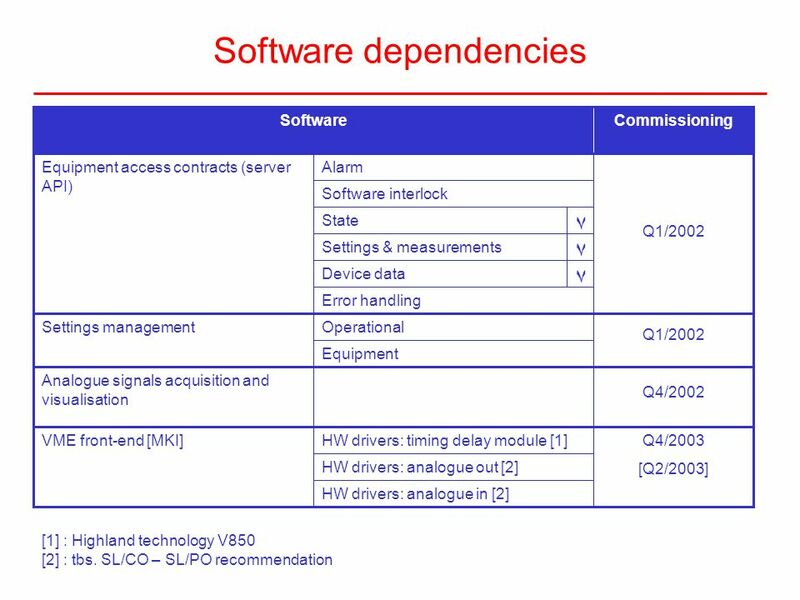 SPS Beam Loss System The SPS Beam-Loss System Hardware: Gianfranco Ferioli Software: Lars K. Jensen CERN SL/BI SL/OP Linkman: Antoine Ferrari. V. Kain, G.H. Hemelsoet AB/OP1Nov 08, 2007 LHC Injection System V.Kain, G.H. 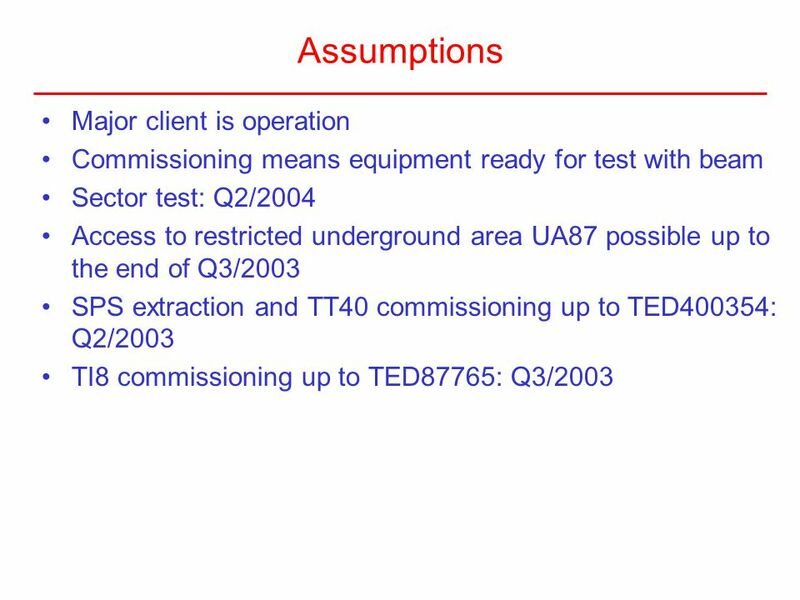 Hemelsoet, AB/OP Input from: E. Carlier, B. Goddard, J. Wenninger What do. 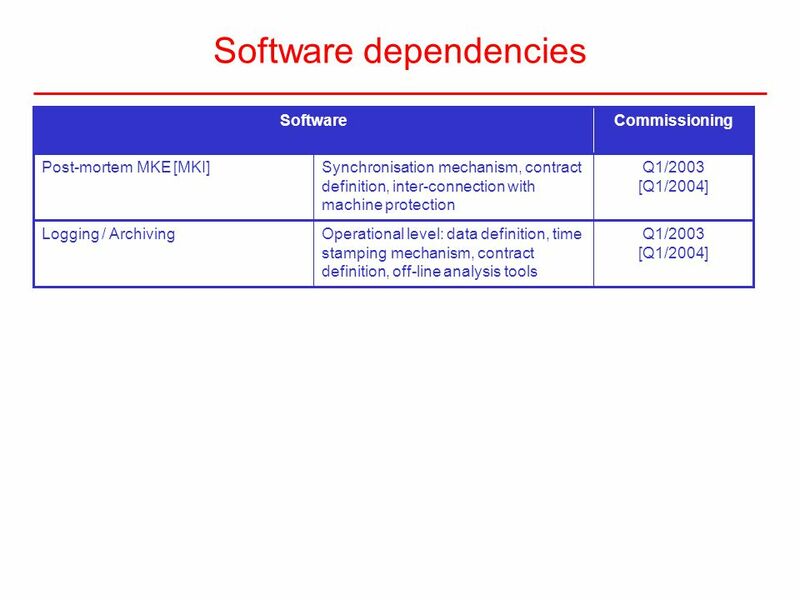 Proposal for Decisions 2007 Work Baseline M.Jonker for the Cocost* * Collimation Controls Steering Team. 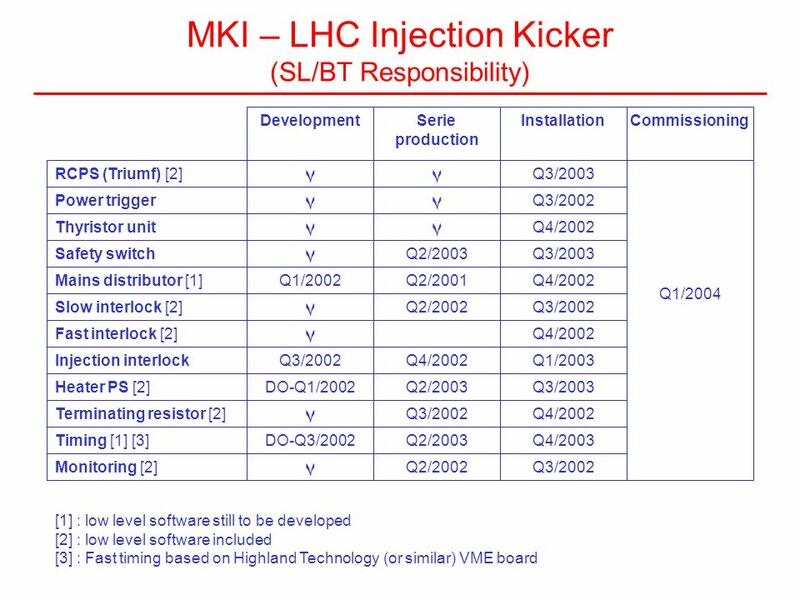 The LHC injection systems located in points 2 and 8 are comprised of several elements common to the LHC ring and the downstream ends of the TI 2 and TI. 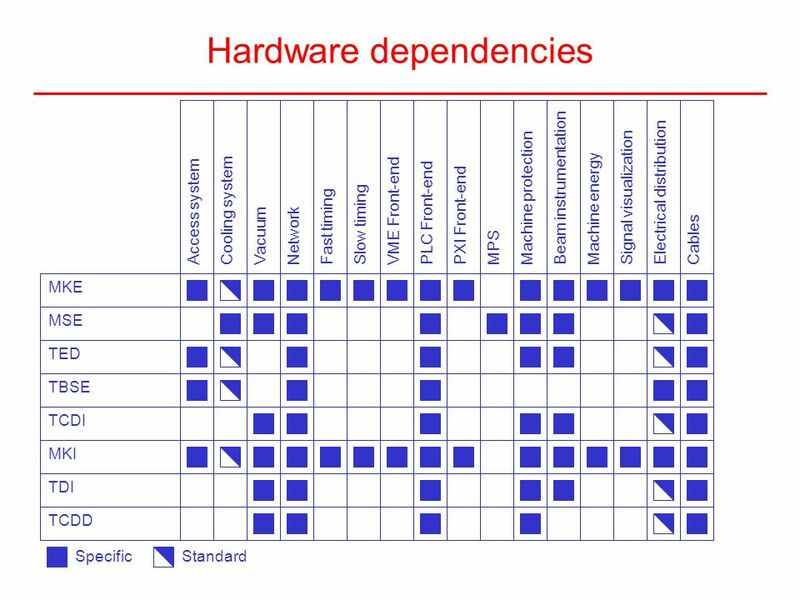 André Augustinus 10 September 2001 DCS Architecture Issues Food for thoughts and discussion. 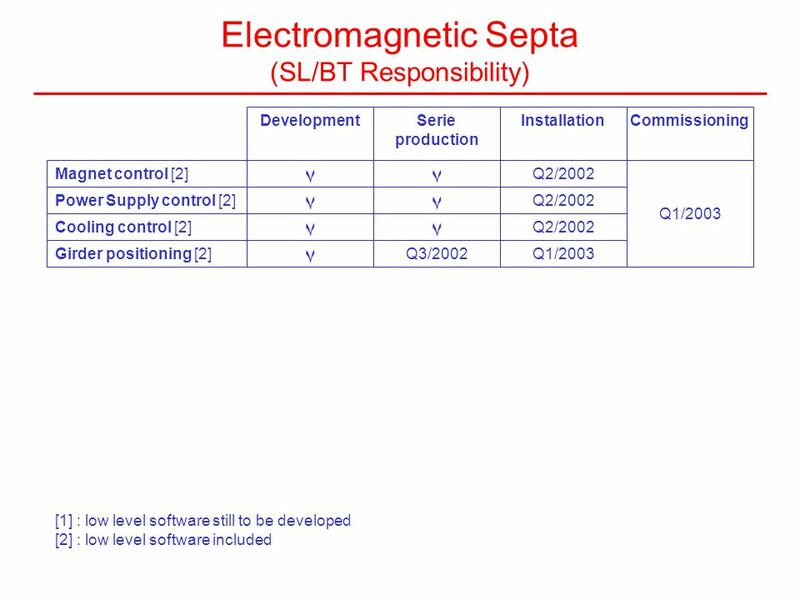 1N.Voumard, AB/BT/ECLBDS Audit, CERN 2008 Presentation of the Beam Energy Tracking System Definition : The Beam Energy Tracking System (BETS) monitors.